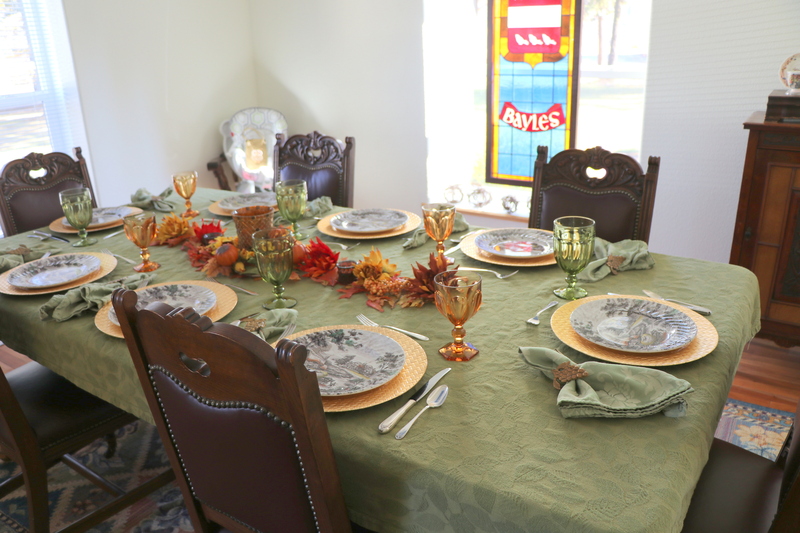 Early Thanksgiving… | The Happy Wonderer ~ ellen b. 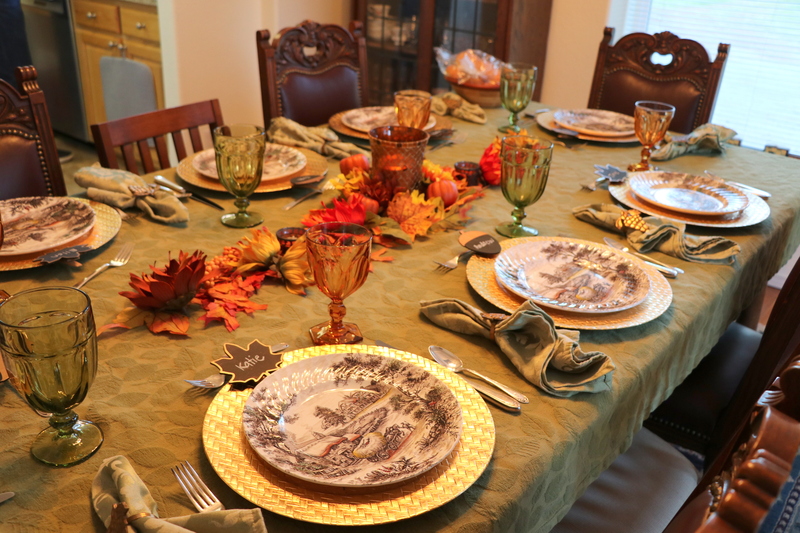 Posted on October 18, 2018 by Ellen •	This entry was posted in Tables by Ellen, Thanksgiving and tagged 1 Chronicles 16:34, Colville, Early Family Thanksgiving, Family Thanksgiving 2018, Thanksgiving Table, Yorkshire Staffordshire Ironstone. Bookmark the permalink. 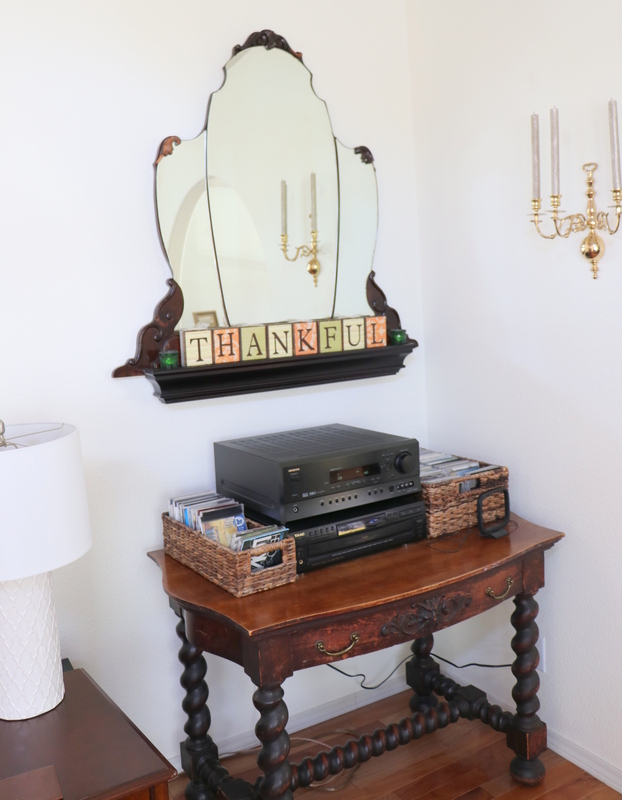 …everyday should be a Thanksgiving. Lovely table! 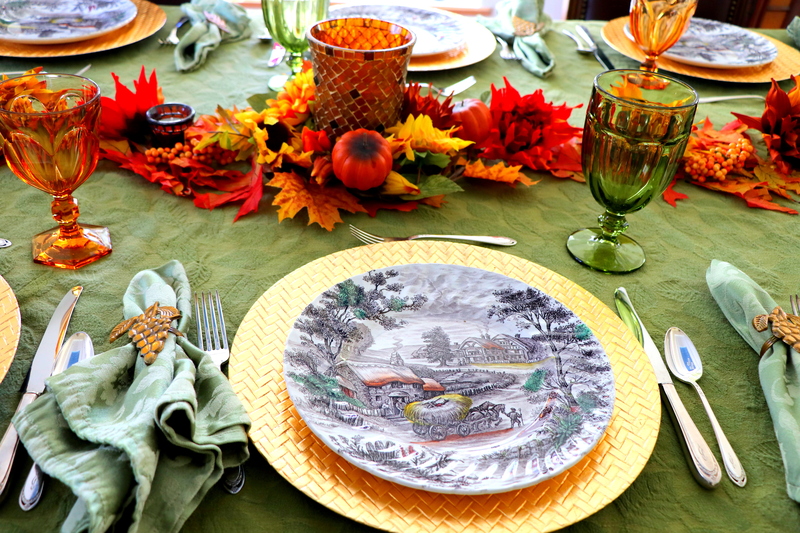 What matters is being thankful together – it doesn’t have to be a certain day! Enjoy your lovely family time together! Beautiful table,ellen. I was hoping for your recipe on baking a large turkey breast…do you have a good one? Lovely and elegant. I love the plates. 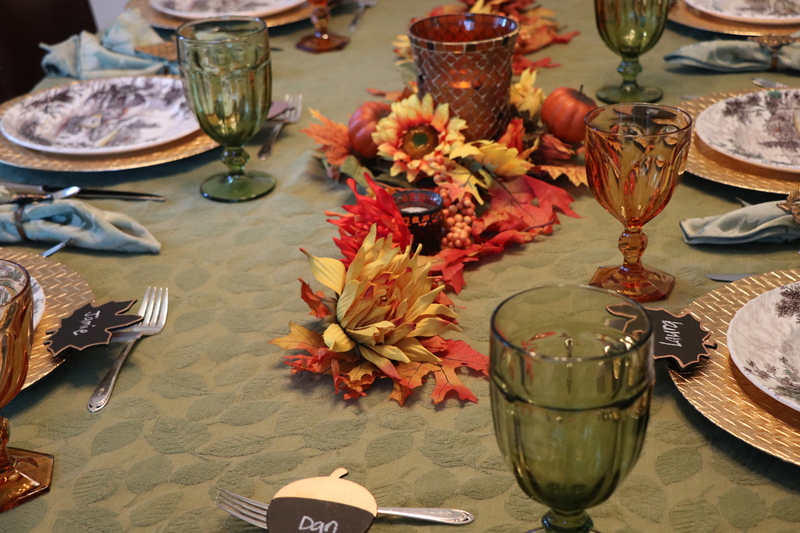 Great idea to celebrate Thanksgiving while your family was gathered! 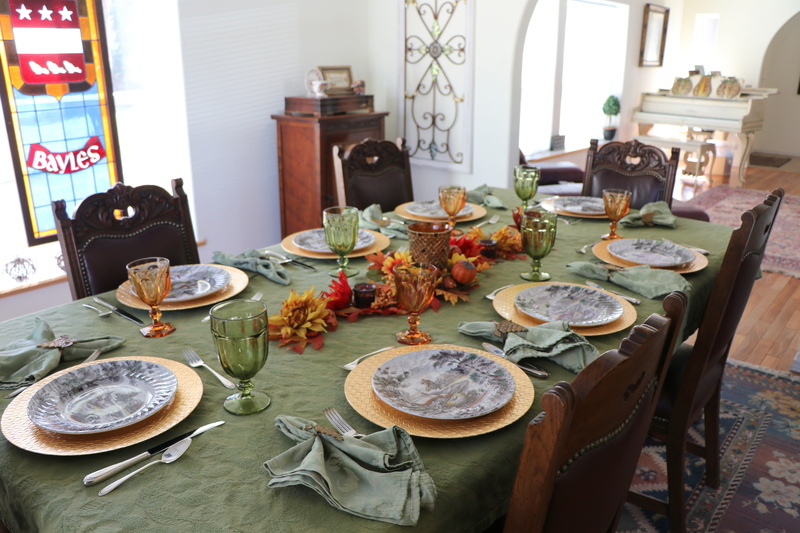 It is special to be able to celebrate in your new home! 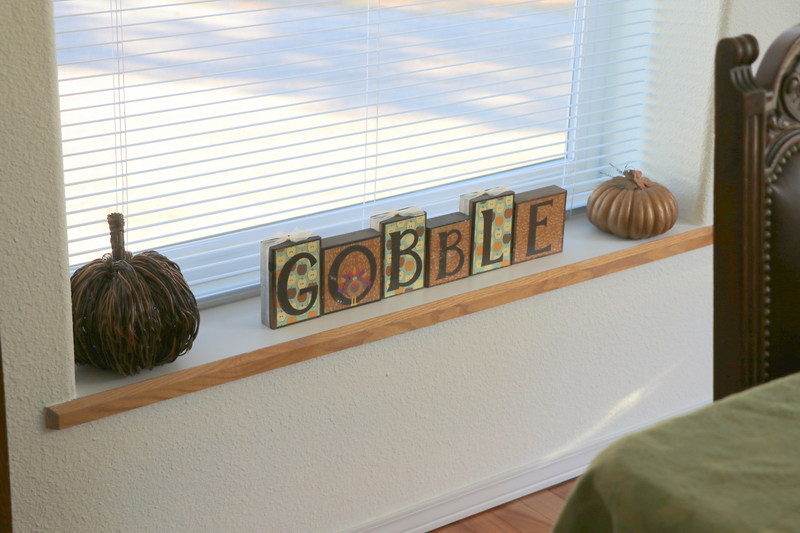 Country Bungalow is a perfect name! 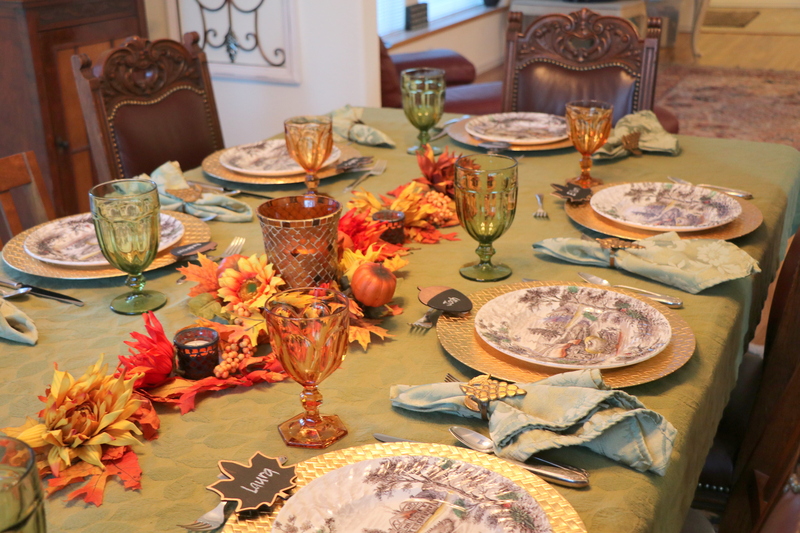 I love all of your decorations and the table is beautiful. 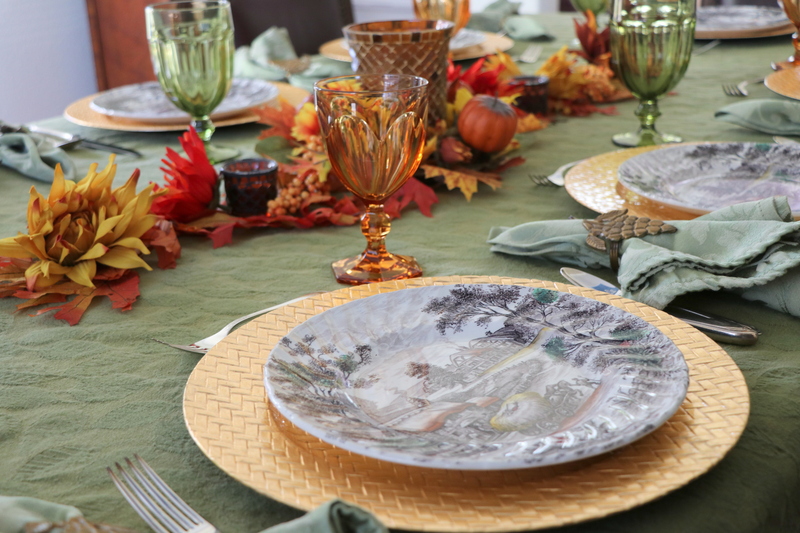 Enjoy each moment of your early Thanksgiving. 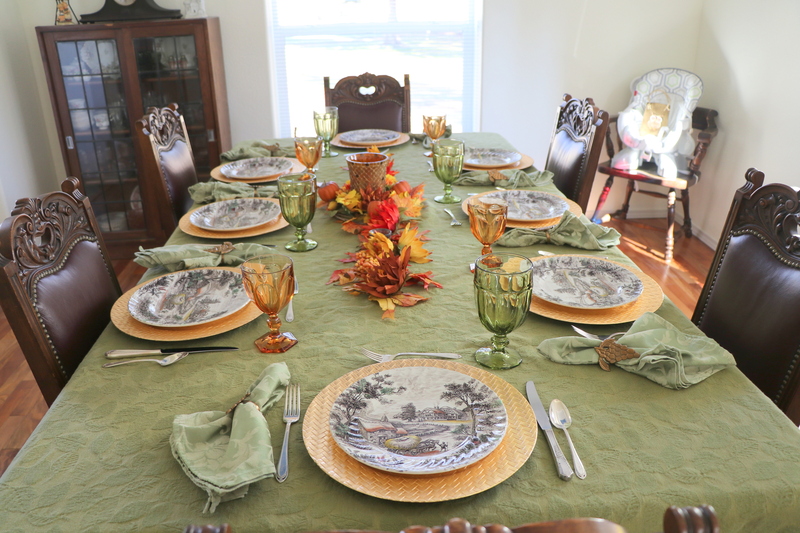 A lovely country table, Ellen. I am curious about the stained glass I can see in the background of some of the photos – did that come with the house? Angie, the stained glass is something my father in law had made with the family name and crest put on it. There are two panels, we have one and Dear’s only sibling (an older brother) has the other panel.